Continuing the series of castle scenes from Germany, I was at Bad Muskau...a little town by the Neisse River which draws the border between Germany and the Czech Republic. The border line was drawn by the Soviets after WW2, to demarkate East Germany from Poland. The castle itself was very beautiful, scenic. 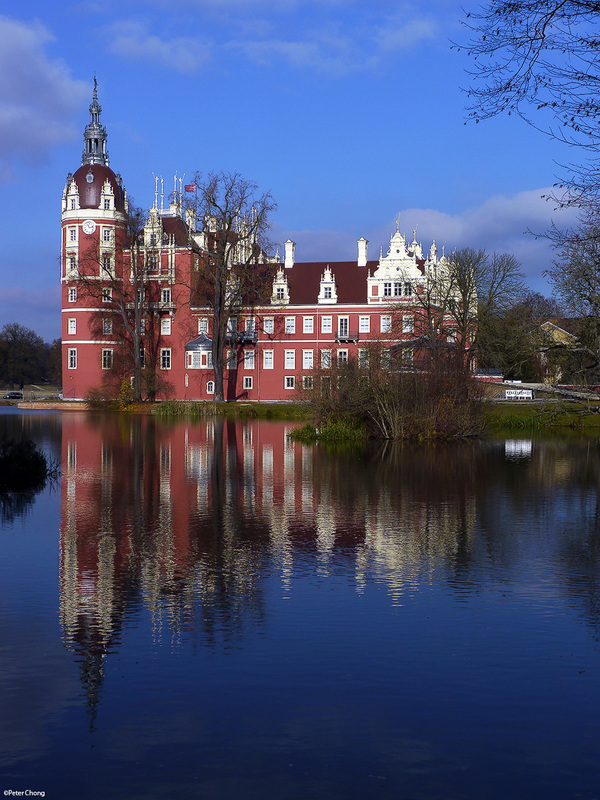 The park and castle was built by Hermann von Pückler-Muskau, a famous landscape artist who made the beautiful gardens. Very nice, serene, even.